Do the Koran and the Bible teach the same basic truths? We have very liberal Christians here in America today who argue that the holy books of Islam — the Koran and the Hadith — teach the very same fundamental truths as the Torah and the Bible from Judaism and Christianity. The misconception goes, if these books are all teaching about the same God, then what each book teaches covers basically the same material, and so therefore all must hold similar truths. 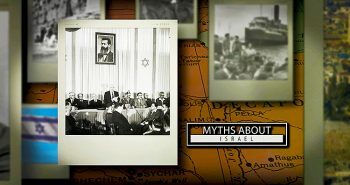 On our television program, Christ in Prophecy, we looked at statistics related to the growth of Islam, we explored the goals of Islam as taught by their holy books and imams, and we marveled at the fate of Islam as foretold in the Bible. 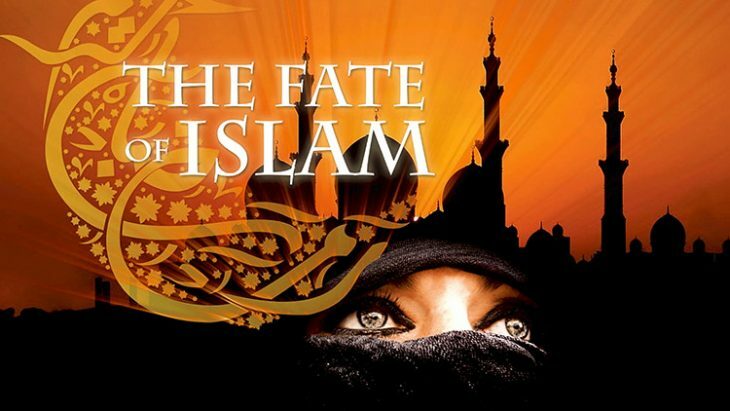 We addressed these topics using clips from my latest teaching DVD titled, The Fate of Islam. In Part 2 of our “Christ in Prophecy” teaching series on Islam and the Bible, we’re going to answer a very crucial question: Do the Koran and the Bible teach the same basic truths? Nathan Jones: The Koran and the Bible are as different as night is from day. The origin of the Koran, also spelled Quran, goes back to around 600 A.D with an Arabian man named Mohammed. BY 40 years of age, Mohammed had been suffering from a lifelong infliction by jinns, meaning evil spirits, and wanted his life to end. So, Mohammed crawled into a cave so that he could finally kill himself and be free of the torment. 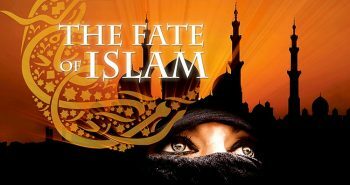 Therefore, the story of Islam actually begins with an attempted suicide. Before Mohammed could do the deed, he claimed that the Angel Gabriel visited him in order to give him a special message. Mohammed was illiterate, so he couldn’t read or write. He was just a simple camel jockey who happened to fall into money by marrying a rich widow. Regardless of his ability to write, Mohammed would return to these caves and fall into trances where he’d start automatically writing on scraps of paper or whatever was at hand. He’d also bring literate men with him, called imams, and they would write down what he said. Over the years what Mohammed uttered while in his fits and trances was collected into what’s today called the Koran, which translated means “the recitation.” It took some 23 years to write and assemble, though nearly 200 years to canonize. The Koran reads just like it was recorded — the rantings of a madman. All the different saying of Mohammed went into a second book called the Hadith. Dr. Reagan: Nothing about the Koran compares to the Bible. The Bible includes 66 smaller books full of stories and factual history and poetry that one can follow easily. But, read the Koran, which runs about the length of the New Testament, and it’s all over the place. The book is very difficult to follow. The Koran truly reads like the rantings of a madman. Nathan Jones: Yes, because that is exactly what it was — the rantings of a madman. Like you said, the Koran runs about as long as the New Testament, so it’s not at all as thick as the Bible. The only similarity between the two books is that the Koran took many years to compile, and that is similar to how long it took the Bible to be canonized. Muslims claim that the Koran is inerrant, meaning that it is perfect, even though it went through many revisions. The Bible, on the other hand, went through no revisions, and we have archaeological proof such as the Dead Sea Scrolls that prove this to be the case. At least a person can read the Bible in their own language. Muslims are taught they have to read the Koran in Arabic, which most people cannot read or understand. That’d be like telling Christians they must read the Bible in its original Hebrew and Greek. Dr. Reagan: A very big difference between the Koran and the Bible in the method of interpretation called abrogation. Muslim scholars say that a later revelation abrogates an earlier revelation if they conflict with each other. It’s can be very difficult to know which are the early sayings of Mohammed and which are the later ones because they are all mixed up, but Islamic scholars say they know the order. Abrogation means this. For example, when a Muslim first comes and speaks to a Christian, they read all the verses that were considered earlier writings, the ones that talked about honoring Christians and the Jews. Christians are called “the people of the book” in the Koran. But, when the Christians and Jews rejected the teachings of Mohammed, he turned violently against them and began to order the killings of Christians and Jews. And so, the later teachings of Mohammed abrogate, or replace, the earlier teachings. A Muslim is loathe to tell you that, but abrogation is how they interpret the Koran. Dr. Reagan: Yes, when a Muslim wants to get along with the “non-believers” they quote the surah’s which teach we are all brothers. But, then later on, when Muslims get into power, what happens? Suddenly what’s taught are all the verses about how the infidel must submit to Islam or be taxed or be killed. No freedom of any other religion exists in the Koran. They’re ordered by Mohammed to kill you if you don’t convert and submit. Nathan Jones: Mohammad was literally a crook, making his living raiding caravans while self-exiled in Medina. He stole not just money, but teachings from the Torah and the New Testament. He even absconded teachings from the Persian religion Zoroastrianism. He took these three faiths, threw in his own teachings derived from his hallucinatory fits, and then blended these ideologies all together into the Koran. Mohammed didn’t just steal money and theology, he also stole wives. He garnered 15 of them, including a nine year old girl named Aisha. Another wife he stole was the very wife of his adopted son. Her name was Zainab. Tired of her family getting killed in all of Mohammed’s wars, she actually poisoned Mohammad, and on top of pneumonia, those two are what finally killed him. Dr. Reagan: I have always found when talking with a Muslim that one of the main things that draws them to the truth is to talk about the love of God and the love of Jesus Christ. I remember interviewing a former Muslim turned Christian, Mark Gabriel, some time ago. He relayed that Islam tells a story in their holy books that is parallels one from the New Testament. It’s where the people bring a woman caught in adultery and Jesus says, “Let him who is without sin throw the first stone.” Instead of allowing her to be stoned, Jesus orders her to go and sin no more. Mark explained that the Islamic rendition is quite different. Mohammad ordered, “Bring her back when her baby has been weaned.” So, she brought the baby back. Mohammed then buried the woman down in the ground with only her head sticking out. He next ordered the crowd to stone her to death in front of her child! Mark revealed that while he was a Muslim, “We just didn’t know anything about the love of God.” And so, when the Muslim experiences a God of love, they give their lives to Jesus and convert to Christianity. 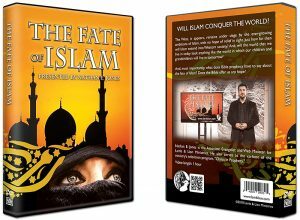 To learn more about Islam and its future according to the Bible, order The Fate of Islam DVD.